This is a list of further reading and resources for my lectures on codesign. Last updated September 2016. The term co-design refers to a philosophical and political approach to design best applied throughout the design life cycle. Codesign builds on the methods and principles of Participatory Design which assumes ‘users’ are the experts of their own domain and should be actively involved in the design process. The wellbeing map: a codesign approach shows codesign in action and gives a very clear idea of how it works. Commissioned by the NHS (North West London), the ‘Wellbeing Map’ project was undertaken as a pilot initiative in White City to identify the best way(s) of signposting residents to local services… In contrast to a conventional approach, the Wellbeing Map project started out without any pre-determined goals — other than the task of discovering how to improve the way(s) in which residents connect with services. Utilising a process of community engagement, it set out to discover what the most appropriate solutions would be to address the challenge at hand…. It was founded on a Co-design approach, allowing participants to take an active part in the design and development of the project. Charles Leadbeater (2008) We think, Profile Books – a very readable analysis of mass collaboration. See the author’s website. Rachel Cooper, Sabine Junginger, Thomas Lockwood (eds) (2011) The Handbook of Design Management. 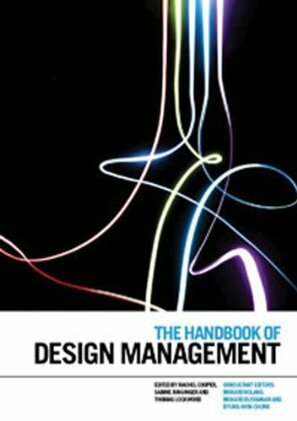 This is a recently published seminal volume on the subject of design management. Working the crowd: crowd sourcing as a strategy for co-design is my chapter within the book. This elaborates many of the issues in my lecture, and provides detailed references. I manage to include references to Karl Marx, Adam Smith, Ebbsfleet United football team and the Arctic Monkeys, so worth reading if only to see how I make links between all of them. Elizabeth B.-N. Sanders & Pieter Jan Stappers (2008) Co-creation and the new landscapes of design. This paper can be downloaded from here, along with many other vital papers on codesign and participative design. I would encourage you to explore the whole MakeTools website. Mypolice is the project initiated by Sarah Drummond that won the Social Innovation Camp in June 2009. Steen, M. et al. (2011) Benefits of co-design in service design projects. International Journal of Design Vol 5, No.2, 53-60. In many service design projects, co-design is seen as critical to success and a range of benefits are attributed to co-design. In this paper, we present an overview of benefits of co-design in service design projects, in order to help the people involved to articulate more precisely and realistically which benefits to aim for. Based on a literature review and a discussion of three service design projects, we identified three types of benefits: for the service design project; for the service’s customers or users; and for the organization(s) involved. These benefits are related to improving the creative process, the service, project management, or longer-term effects. We propose that the people involved in co-design first identify the goals of the service design project and then align their co-design activities, and the associated benefits, to these goals. The paper closes with a brief discussion on the need for developing ways to monitor and evaluate whether the intended benefits are indeed realized, and the need to assess and take into account the costs and risks of co-design. Redjotter’s blog on service design covers many issues of codesign and cocreation. The UK Design Council provides some definitions and personal views on codesign. Co-designing for dementia: The Alzheimer 100 project by Lauren Tan and Deborah Szebeko. Community design and community planning – all the methods you’ll ever need – and more! This is worth a very thorough exploration. Some of the ground covered in the lecture was covered in a keynote for Design Management Europe in Eindhoven, June 2007. Video here. This list is a great resource and one that is definitely needed!